It is daybreak No. 3 after the storm. We are still without power. Our utility company has all hands on deck trying to restore power. I am certain that they are doing their best. We prepared for the eventuality of not having power for up to a week. The maximum ETA is that power will be completely restored by midnight Sunday. Hopefully we aren’t the last ones on that list. But we have prepared well and can ride this out. Maybe not in luxury but neither are we living only out of cans and PB&J. 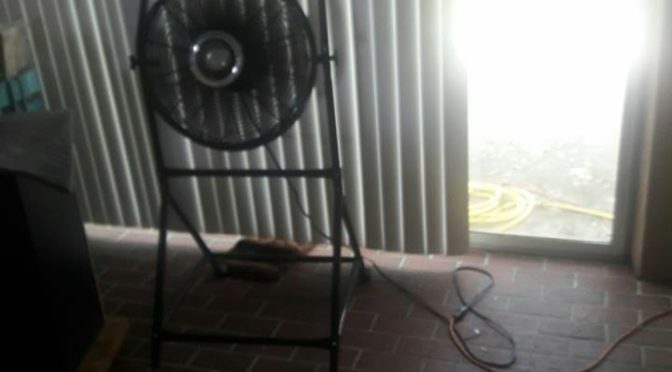 Our generator is handling our fridge, industrial fan, TV and some electronics. Plenty of lanterns and batteries, gasoline and propane for our generator, grill and camping stove. The motto I learned as a Boy Scout wasn’t just a passing thing. I adhered to that motto, Be Prepared, to everything I do in life, especially in the face of these storms. Too many of my community neighbors have been complaining about the length of the power outage. The main reason is that they prepared for the storms that passed and not the one still to come. 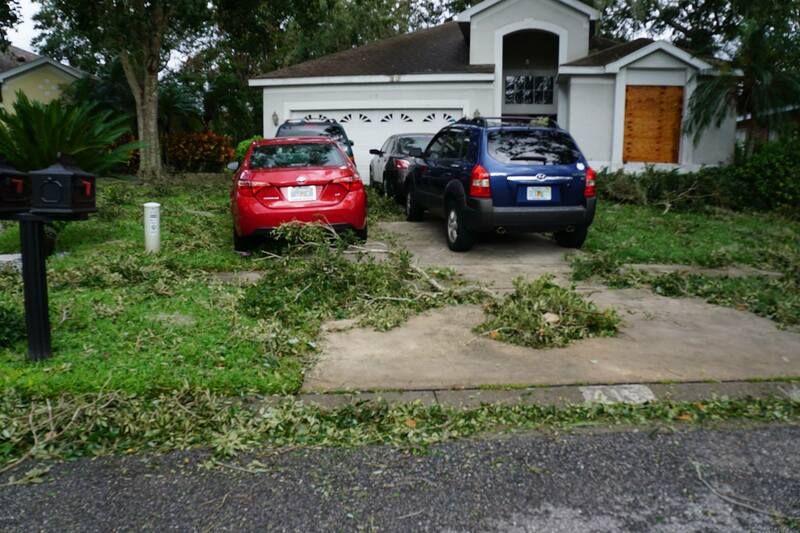 I have heard so many say that they never expected this much damage in Central Florida because previous storms turned, grazed or substantially weakened before arriving and passing through the very middle of the state. But then came this storm, with the largest extension of wind coverage completely covered the entire state. And then Irma’s drunken path moved her left to right back left and then again right, bringing incredible damage to the entire state. Today I heard an official say that for the first time in Florida’s history, 99 percent of the whole state’s counties emergency control centers are at full activity. With so many of the population and areas affected at once, it is only sensible that power and internet to residences would take a low priority. Today people are being rescued from flooded areas, people returning to areas almost completely devastated and people still being forced to evacuate due to rising waters. My in-laws fell into that last category. 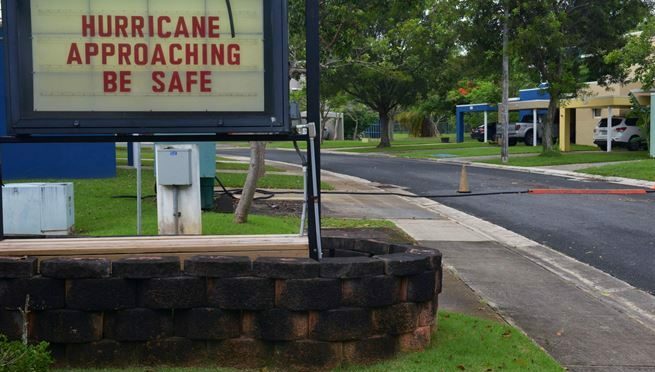 Their senior living community survived the wind and debris damage, and they had power restored until yesterday when they received word that the entire community needed to evacuate. Even without electricity but with an intact structure, they are here with us. Together we shoulder the load and await the power to return. 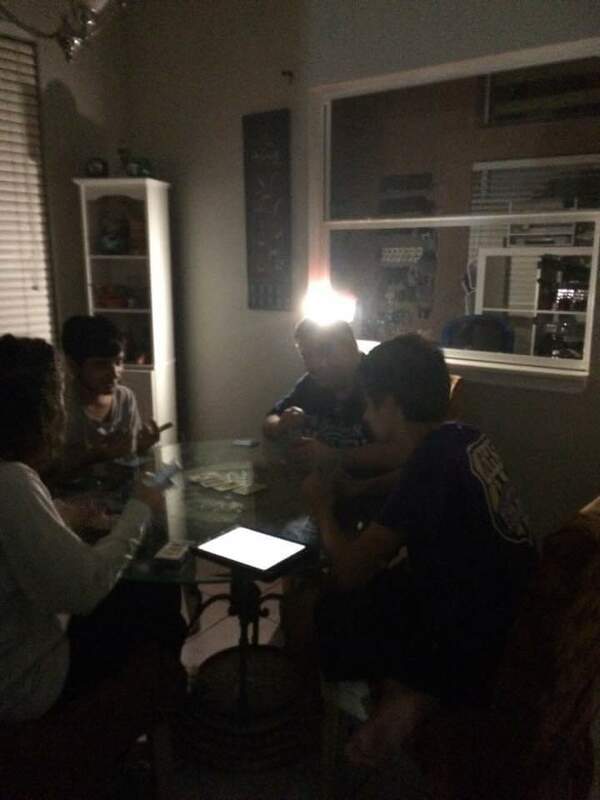 Hurricane Irma: Who Needs Lights Anyway? We went through a few scares early last night. While we still had power and were listening to the weather predictions, I noticed water seeping into the family room — right where we had placed the sandbags the day before. I left the comfort and safety of the house, put on a hard hat and poncho, and braved the windy rain to rearrange the sandbags. That’s when I heard the sirens I had never heard before. I went back to the front as my son was yelling at me that there was a tornado warning and one already touched down a few neighborhoods over. The smartphones were all going off with alarms and the news guy was pinpointing the rotating winds, urging everyone to be low and ready to go into a safe room. We had our closet door open and we all stood close to it while simultaneously listening to the outside, our phones and the TV. Fortunately the warnings passed by 7:30 and we all sighed a little relief. We switched to Netflix for a while and at 10 p.m. the power went. We continued to follow the storm’s progress on our devices through my phone’s hotspot. That’s when we learned that the latest landfall downsized the storms winds and category, but now the track had shifted enough to give Orlando an eyeful of Irma. We broke out the cards and board game and waited. She would be arriving with her worst winds about 1 to 3 a.m.
No one could sleep so there was wine and games. We heard the howling winds from 2 through 3. By 4 a.m. the winds were back to the tropical force we had been experiencing all afternoon so we all went to sleep. This morning after the curfew ended at 7 a.m., I ventured out. The sky showed that it wanted to go blue again, but there were still plenty of tropical force gusts. I walked around the property and surveyed the field. 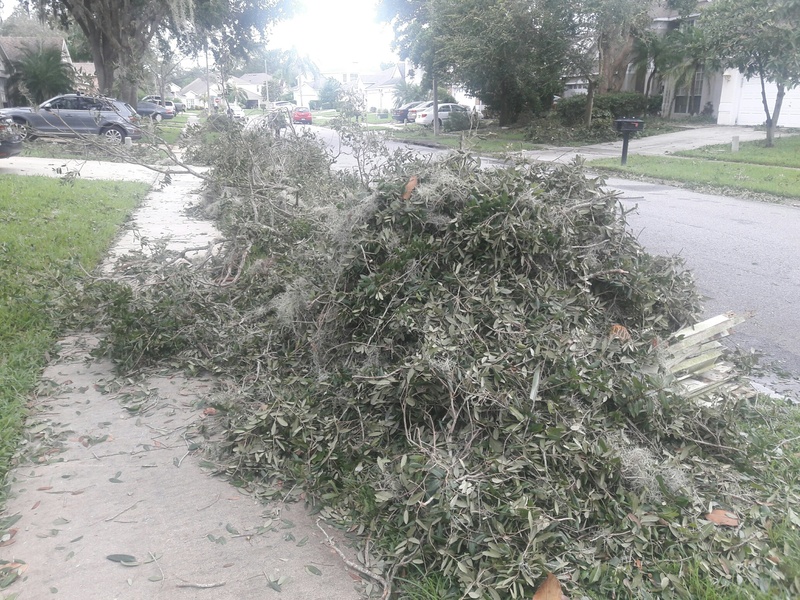 There was considerable debris but most of the large branches missed our vehicles and home. I saw some loose aluminum siding blowing in a neighbor’s front yard down the street, but nothing looked any worse than branches strewn about. 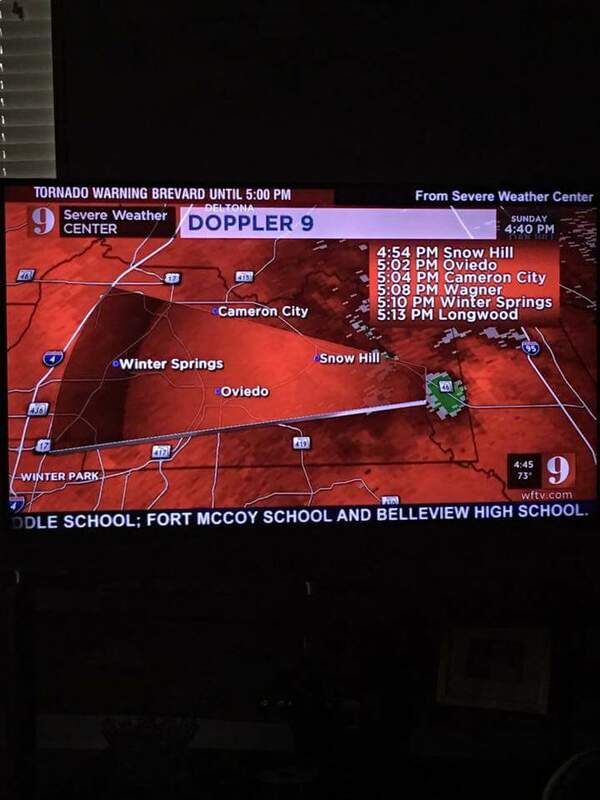 We were once again fortunate in Central Florida. Unfortunately this near miss (or hit) with less ferocity than originally predicted feeds the naysayers in the greater Central Florida area. Yeah, that’s right. Until they don’t. We had a pretty good run as I followed many of my close neighbors over the last three hours, announcing their power loss. Just when we thought we could be clear, and just while the whole family was enjoying reruns of “Frasier” on Netflix, buoooooom. I think that’s the noise it made. Nothing. An eerie quiet. So we are breaking out the cards and the backgammon board. I guess we will be going to sleep soon but the latest information tells us the most destructive (potentially) winds will arrive around 2 a.m. So we will be sleeping with one eye open, ready to gather the family and dive into our safe room (the master bedroom closet). We laid down foam padding that I had stored and is coming in handy now if we have to spend any time on the floor of our closet. Rain has been coming down steadily since early afternoon, at times with loud winds and rain going horizontally. Trees have been stubbornly holding on to their branches so far. 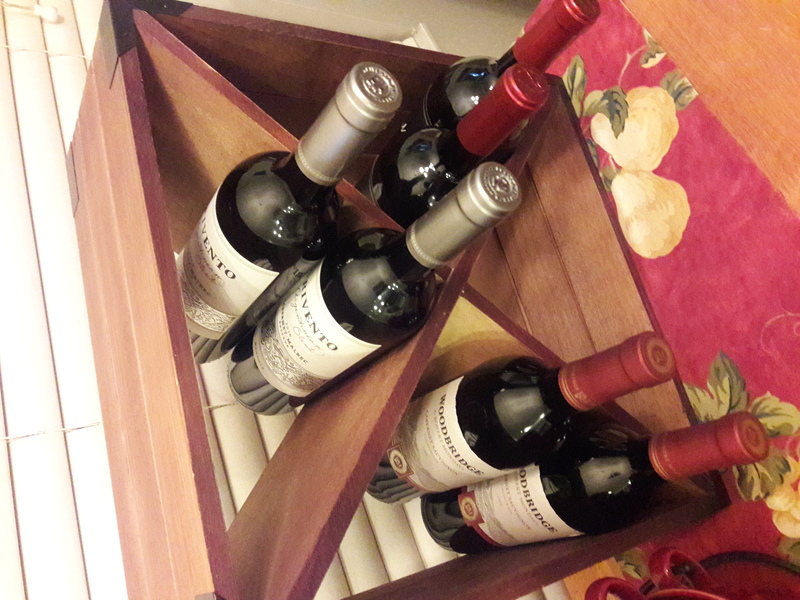 We still have wine. We are good. Next update sometime early morning. Gotta conserve power on the laptop and the phone’s hotspot. Completely battened down. Plywood on all windows. 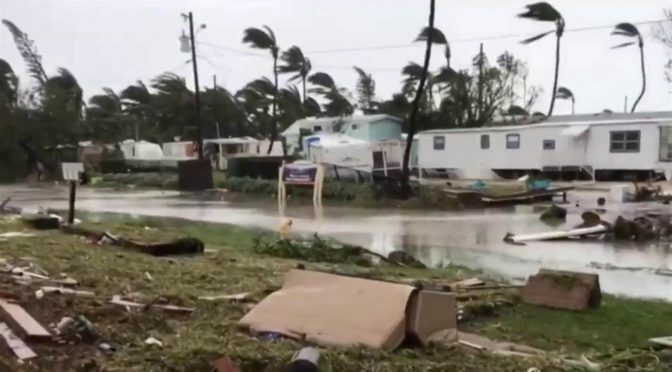 A quick aside to those questioning the reasoning on plywood barricading homes when images from post-hurricane areas typically show total devastation of property. what can a thin sheet of plywood? The plywood is not placed to keep the full fury of Mother Nature out. 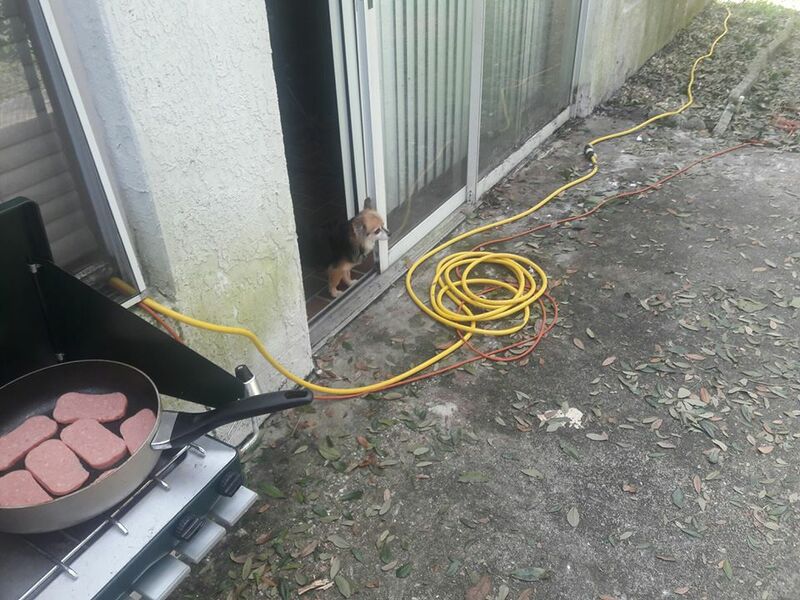 If she wants in, she will get in. What the plywood is there for is to deflect Mother Nature’s minions in the shape of flying debris. These evil minions fly through the air, sometimes in less than full destructive hurricane wind speeds, finding uncovered windows, breaking in and thus allowing much of Mother Nature’s other henchmen, wind and rain, to enter the house and thoroughly destroy it from within. 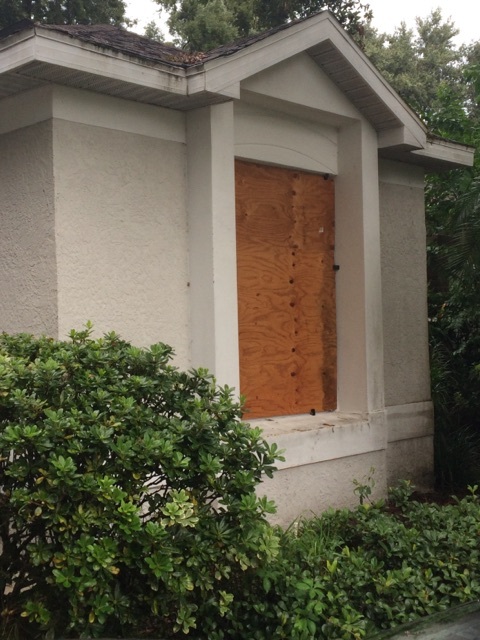 Less than $300 worth of wood and some elbow grease can prevent a hurricane’s near-miss and outlier squall winds from totally ruining your home. A final check of supplies found a bit of a dip in some essentials, bread, simple over the counter meds and wine. One quick trip to the local CVS fixed that. 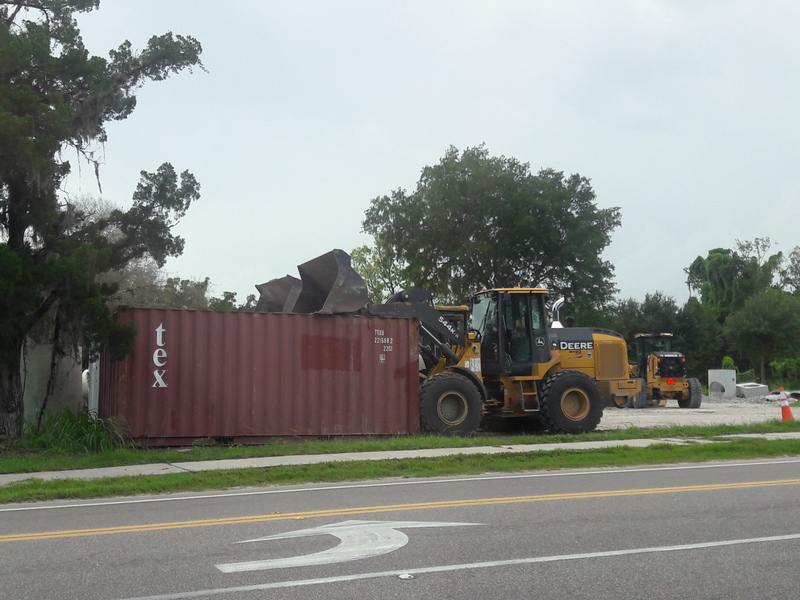 I witnessed a local construction company’s unique way of securing its containers from becoming flying debris. The latest track, emphatically relayed by the all day, all weather, news show had the center of the storm shifting out west a bit more than all the computer models and experts expected. These storms can be so fickle. So the path out moves Orlando away from receiving the eye and strongest winds as it traveled up the peninsula. Now the storm will hug the west coast and threaten the coast from Fort Meyers all the way up to Tampa with its fiercest winds. Thursday was the last normal business day at work. Our office will be open but employees were given the option to work from home if possible and allowed blackout hours to tend to some preparations for the storm. “Family first” was the motto from our CEO. I used the early evening to remove from the backyard older lawn furniture that went unused and was languishing under a tarp for so long. Rather than move it all into the garage, I put most of it out for trash pickup today. I reviewed my plywood situation. 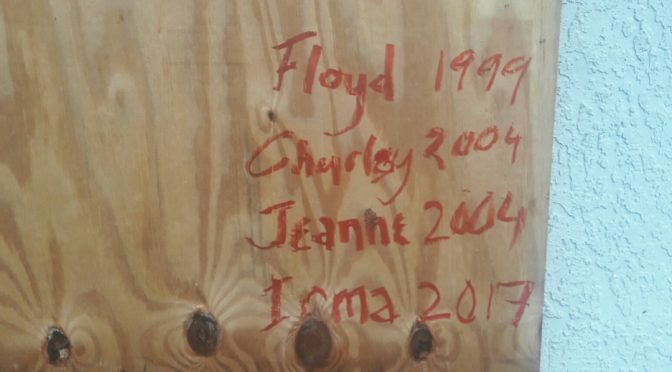 I had some plywood sheets left from our previous home and hurricanes in 2004. Since then I have used some and am short to cover all my current windows. I hope to use the morning to hunt for some plywood at the stores and that they have restocked from earlier in the week. A large part of the anxiety my wife and I have is that our two oldest are at the University of North Florida in Jacksonville, Fla., north of us and closer to the Atlantic Coast. But Florida Gov. 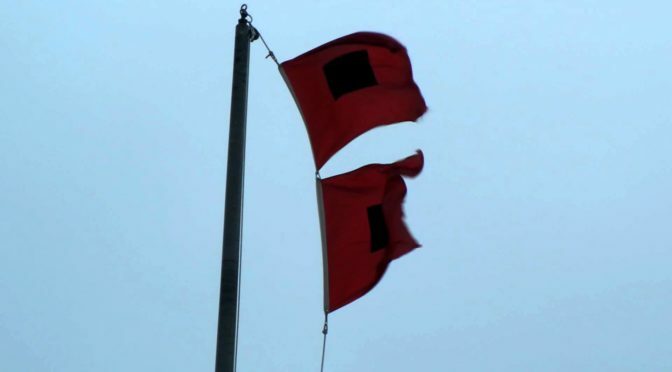 Rick Scott announced late Thursday that he was ordering the closure of all K-12 schools, colleges and universities on Friday and Monday after the storm hits. Having my immediate family together lifted our spirits. I still have the anxiety of thinking about preparations and safety of my extended family — my wife’s mother and father who live just south of us in Kissimmee Fla. Also, my mother, father and youngest brother, who is disabled, live just west of us in Ocoee, Fla. I have the additional task of checking in on all of them before and after the storm. Hurricane Irma: Forget Bottled Water. Getting Wine Is Tougher! We will be fine. We are well prepared. The only thing I wish I could get fixed is my chainsaw, which won’t start. I just may have to get another one. I am pretty sure there will be branches to cut away. Here is my hurricane tale through the years. Andrew, Charley, Frances, Jeanne, Dennis, Wilma and Matthew. A list of friends? Those are the major hurricanes that have affected me since I made Orlando my home in 1992. Each one was treated differently as far as preparation. With each yearly storm season (June 1 to Nov. 30) I gained more experience in getting properly prepared. I had just moved to Orlando when Andrew came calling. I was an apartment dweller at the time, fresh from the Bronx and totally unprepared. Fortunately for me, Andrew only brought Orlando a lot of rain but brought its destructiveness to South Florida. After that I became a homeowner. I survived a couple of hurricane seasons without incident until a dude named Floyd came calling. A very powerful Category 4 was targeting the middle of the state and go through the center, and through my home area as a very strong Category 3 storm. 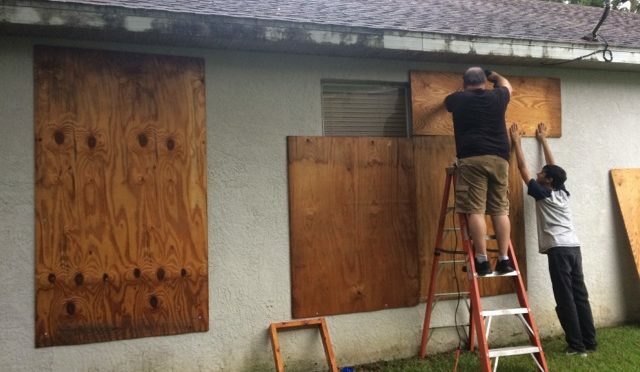 As part of my preparations, I bought plywood and boarded up every window. The inside of our home was eerily dark. And Floyd was (thankfully) a no-show. I stored up the plywood and a few quiet years went by until 2004. That year we were treated to an evil trifecta of Charley, Frances and Jeanne. 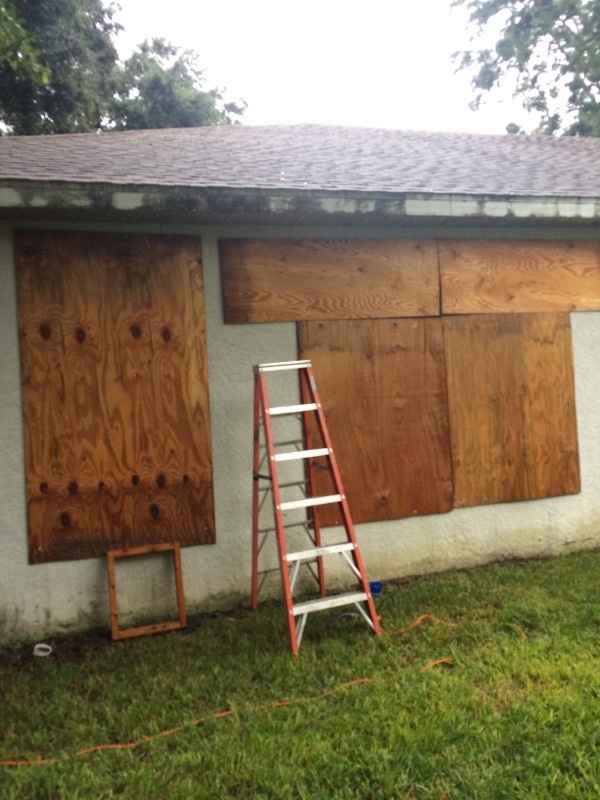 I again boarded up for Charley. Good thing I did. Small, tight, fast and powerful, Charley did a lot of damage straight through the center, entering south of Tampa and followed the Interstate 4 from west to east. A double combination punch of Frances and Jeanne followed closely behind Charley turning Central Florida residents into a punch drunk group of citizens. When Ivan was announced to be coming our way, a communal groan went up from us all. Ivan spared Central Florida but instead gave the Florida panhandle a large dose of wet destruction. Then things went very quiet, relatively, for almost a decade. Last year Hurricane Matthew reignited my sense of hurricane preparations as it took aim at us here. But there was something very familiar to that track and the high winds. Very Floyd-like from 1999. It ended up following a very similar path as it turned right before the state, gave the East Coast some surge and rain, but left Central Florida untouched. It was a beautiful, bright sunny day. But that miss only reinforced the naysayers who always contradict a careful person’s plans. They are always around at work, at school events or outside church. Nah, it’ll turn, they say. They always do when they originate in the Atlantic. There was some wisdom to that. And we can take some satisfaction in that they are mostly correct. But every now and then, a storm does something weird. So now we have Irma. Already a deadly and the strongest Category 5 in history in the Atlantic Basin. The track again is westward across the Atlantic but here is a twist. The storm is huge, really huge, and it is not expected to make its right turn until it is just south of Miami, just before the Keys. And then it is tracked to go up the entire peninsula. Even if turns a little bit east of projection, the entire peninsula will be treated to immense storm surges, biblical proportions of rain and wind gusts that can blow blue rain jacket-wearing weather personalities clear across roads and parking lots. So once again I go into full preparation mode. Water and food to last five days. Full resupply of first aid items, batteries, fuel for generators and gas grills, lanterns, meds and games to pass the powerless hours away as we listen to the wind strike up against the boarded windows and hear the roof strain to keep its shape. I avoided the long lines and water riots by taking advantage of the Labor Day weekend to get my supplies. And although we had a decade of quiet, it was clear the storms would come calling again at some point. We have plenty of supplies, and sufficient moxie. We’ll get through it. Again.